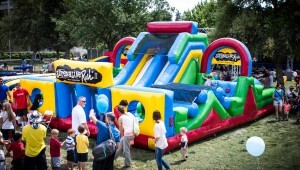 Adrenaline Rush II is the World’s First 360 degree inflatable obstacle course! 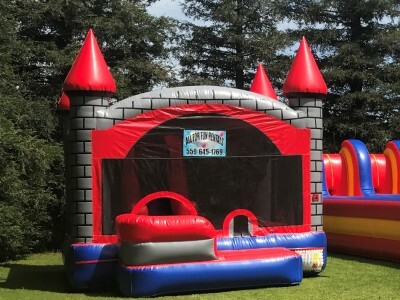 To get through this course you must crawl, climb, bounce and slide over and through 1000 square feet of tubes, squeeze walls and climbing surfaces! The Adrenaline Rush II is comprised of three modules attached to each other. 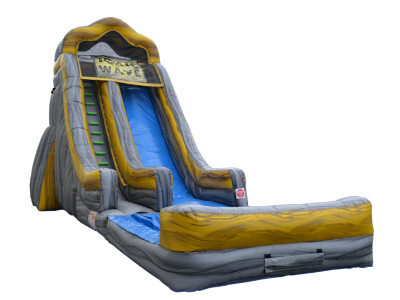 With all three modules connected together, participants enter through the front of the outside modules and progress their way through a challenging combination of log crawls, rock climbs, slides, crawl tubes before they climb to the top of the rock wall and slide out to the exit. 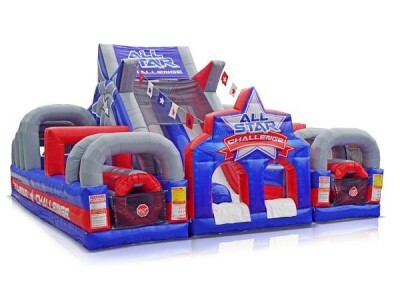 This amazing obstacle course will challenge you against yourself or an opponent at your next special event! The Adrenaline Rush II has been modified to be the best course in the industry. Beware of imitations and cheap knock offs, there is only one Adrenaline Rush II,and this is the real thing!